: The Seven Deadly Sins travel to a remote land in search of the phantom ingredient "sky fish." Meliodas and Hawk end up at a "Sky Palace" that exists above the clouds, where all the residents have wings. 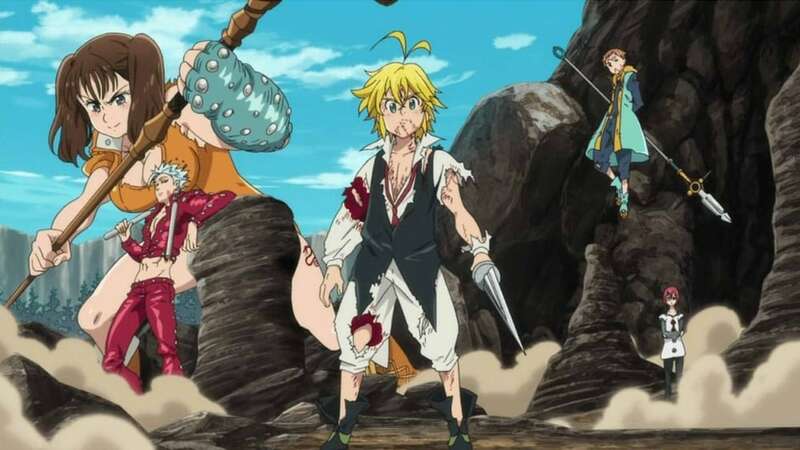 Meliodas is mistaken for a boy who committed a crime and is thrown in prison. Meanwhile, the residents are preparing a ceremony for defense against a ferocious beast that awakens once every 3,000 years. But the Six Knights of Black, a Demon Clan army, arrives and removes the seal on the beast in order to threaten the lives of the residents of Sky Palace. 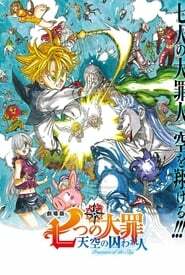 Meliodas and his allies meet the Six Knights of Black in battle.